We trap, remove and Control the following nuisance wildlife: bats, beaver, birds, chipmunks, Coyote, fox, mice, moles, voles, pigeons, raccoons, rats, rodents, squirrels, skunks, snakes, & more. Squirrels in attics are what do! We have been getting raccoons, opossums, rats and mice out of attics and we do it right each and every time. We know how to stop the damage to your lawn by moles, and can catch that skunk and take it away before it sprays your dog or laundry on the line again. We can trap that fox, or groundhog that seems to just never go away. We have been experts in Kansas City wildlife Control longer then most any Company you will ever find. Let our experienced staff solve any and all your wild animal removal Concerns. Kansas City Animal Removal is basically short for the wild animal removal services we provide including attic restoration, pest control insulation services. We are licensed, and insured to operate in the State of Kansas & Missouri. We are experienced in all aspects of nuisance bat control including a very complete and thorough inspection of your home to determine if your home or attic may have unwelcome bat colony living inside. Anytime a bat is found in the home it is wise to have it determined that it’s as simple as a bat coming in a open window or door and not flying through a air current from your attic into your home. We seal up all entry and exit points used by bats then do a complete seal up of all gaps 3/8th inch or greater in the home. . We get bats out and keep bats out ! We get rid of bats in attics, bats in chimneys, bats in fireplaces, and bats in walls. We remove all the bats in your home and seal up bats in your home and keep your home bat free. Call us for Kansas City Bat Removal. Birds can quickly become a real nuisance . They produce filthy feces waste and stink and can quickly spread mites and other pest bugs in addition to what the nuisance birds are doing to the cosmetic appearance of your building. We install bird deterrent devices and use bird netting, bird spikes , bird slide and other well known bird control products to get your nuisance birds under control. We provide professional bird control for Pigeons, Starlings, Sparrows, Swallows and other nuisance bird species. Got bird problems and need bird Control in the Kansas City area – we can help! We have a variety of bird Control and bird removal method, bird deterrents, bird repellents, bird netting, balcony netting, bird poop cleanup, bird spikes. We use products from nixalite, bird barrier, bird b gone, kabatape. We Control birds, we harass bird, we remove birds including blackbirds, chimney swifts, crows, ducks, doves, grackles, pigeons, ravens, starlings, sparrows, swallows, woodpeckers, turkeys, vultures. Don’t see it here if you have a nuisance bird problem please call. Call us for Kansas City Bird Removal. 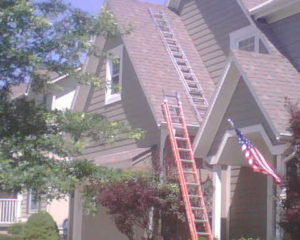 We go to extremes to assist you! The opossum is our only native marsupial in North America. For those with experience with the opossum they like to show off their big row of teeth to ward off potential predators or when attacked play possum (dead and emit a foul smell as if they were a dead carcass). The opossum is not a frequent invaders of homes but it does happen and occasionally a opossum can be caught in a attic or stuck in a vent somewhere including even a chimney with a faulty or missing chimney cap. Call us for Kansas City Opossum Removal. Sure we do a lot of raccoon control work in the area. The raccoon is a very powerful, intelligent critter that seems to always find a new way to break into homes attics through the eaves. We trap, control and remove raccoons. Call us for Kansas City Raccoon Removal. Hear noises up in your attic. Hear chatter in between the walls of your home. You may have raccoons in your attic and raccoons in your walls. We trap raccoons in attics, we trap raccoons in eaves, we trap raccoons in basements, we trap raccoons in fireplaces, and raccoons in chimneys. Got a skunk problem you can Count on us to get your Kansas City Skunk Control problem under Control the moment we put down our humane skunk traps and begin working to provide you live, humane odorless skunk removal. Odor less skunk removal is possible when you leave the skunk trapping to us. We are experienced skunk trappers. We offer skunk prevention services. Call us for Kansas City Skunk Removal. We are experienced in squirrel control and handling the squirrel in attic, squirrel in fireplace, squirrel in chimney, squirrel in eaves and squirrel in basement and garage problem are what we do professionally every day. We know how to get squirrels out of attics. We know how to keep squirrels out of attics. We know how to trap squirrels. We know how to get rid of squirrels, prevent squirrels and squirrel proof your home, fireplace, chimney, basement or attic. We also do attic restorations and we can Remove attic insulation, and blow in new Cellulose Pest Control Insulation! Call us for Kansas City Squirrel Removal. Most of our customers go EEK when they find a snake. We provide local snake handling , snake identification and handle all snakes whether they are venomous or not. We remove rattlers, cottonmouth, copperhead, and other well known snakes such as garter snakes, hog nosed snakes, water snakes, green snakes, brown snakes, milk snakes ands tree snakes. We remove snakes from homes, businesses, Commercial and industrial properties. Professional snake handler will Come and remove venomous and non -venomous snakes. The best advice we can give is leave all snakes alone. Snakes will not bother you if you simply leave your area. if waiting the snake out seems to be a problem feel free to call us. Call us for Kansas City Snake Removal. We trap, remove control nuisance wildlife: bats, beaver, birds, coyote, groundhogs, moles, pigeons, raccoons, squirrels, skunks, snakes, voles & more.